Remote Support is becoming very popular these days. If you have an issue, call us and we will connect to your computer remotely to fix your issues. Our services are setup on a month by month basis, so you won't be locked into a long term contract. Our Monthly Service Agreement starts you off with 1 Hour of Support, Priority Service, Free Support via Phone or E-mail, and other perks. This will ensure you get your issues resolved as fast and easy as possible. Another great feature of the Monthly Service Agreement are the Add-Ons. You can customize your Monthly Service Package to fit your needs and budget. 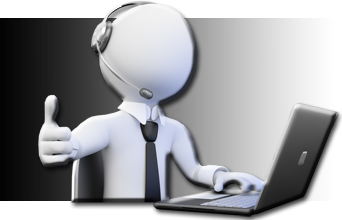 Add-On solutions will cover you on Anti-Malware, Cloud Backups, 24/7 Live System Monitoring, and Additional Service Hours. 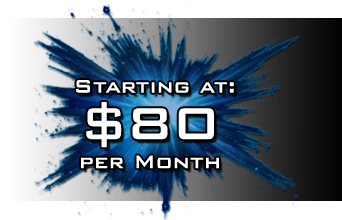 Check below for details and prices for the Monthly Service Add-Ons. Our Managed Anti-Malware protects your computers against threats such as viruses, Trojans, rootkits and spyware. 24/7 - no matter if online or offline. It catches and removes viruses without even knowing you had a problem. The scans and results are managed by our technician and is completely invisible to the end user. Any computers covered under the Live System Monitoring add-on will benefit from live stats sent directly to the tech center. We can fix any problem before it becomes bigger, saving you loads on downtime. This service also includes asset tracking, which lets us know what hardware and software is installed on this system. The Live System Monitoring is recommended for Server and High-Priority Systems. A solution for all computers on the network to backup to the Cloud for an Off-Site location. We have several different packages available. Once we get a good look at what your needs are, we will be able to find the right plan for you. Rytek IT will manage the users and computers but you are responsible for selecting your own data for backup. The Monthly Service Agreement includes 1 Service Hour, but some business systems need more attention than others. You may want to add more support hours if you go over often to save some money. Otherwise, it’s $20 for every 15 minutes.